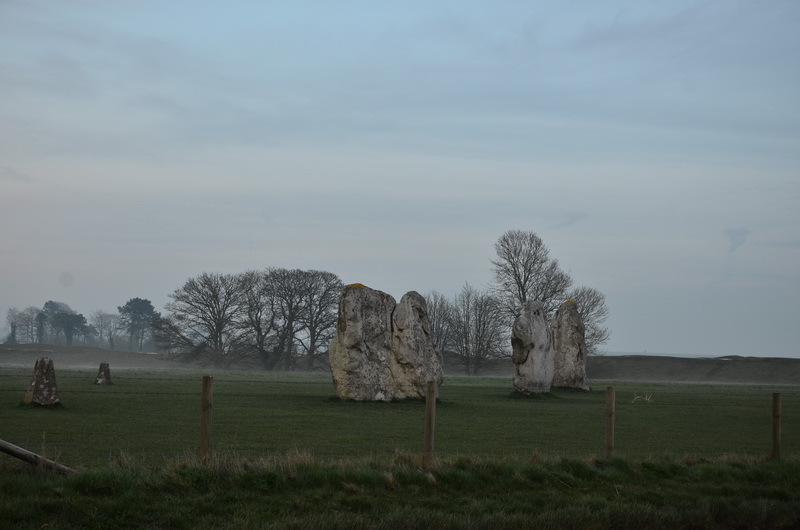 Over one hundred Ancient Neolithic monuments mainly stone pillars ornate the village of Avebury in Wiltshire. 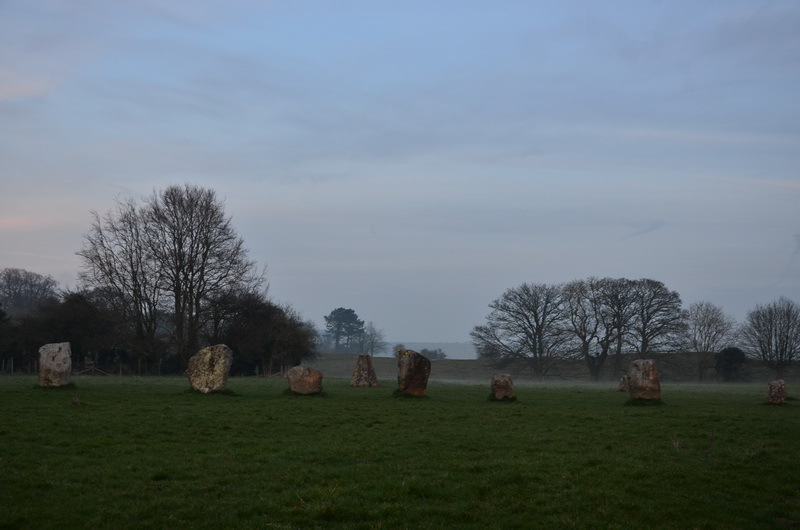 Grey boulders of natural rock that look like a flock of sheep in a dim light, such was the description by writer and antiquarian John Aubrey when he first encountered the site whilst hunting in 1649. 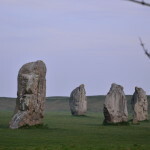 The stones vary in height from 3.6 to 5.5 meters, each weighing in excess of 40 tons. 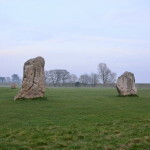 There is another mystery about the history of Avebury, similar to Stonehenge, which by some reason is far better known and a popular tourist attraction. 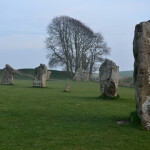 Archaeologists date the prehistoric monuments in Avebury to the late Neolithic or early Bronze Age, when the people ceased to construct tombs and began to create wood or stone circles instead. 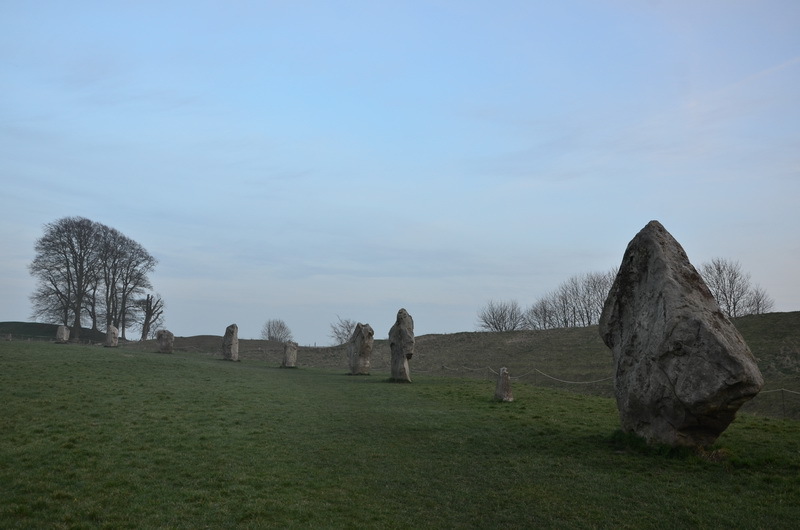 In the Swedish Encyclopedia, published in the 19th century, there is an illustration of the Avebury stones containing a single large circle of 331 meters in diameter and two smaller inner circles. 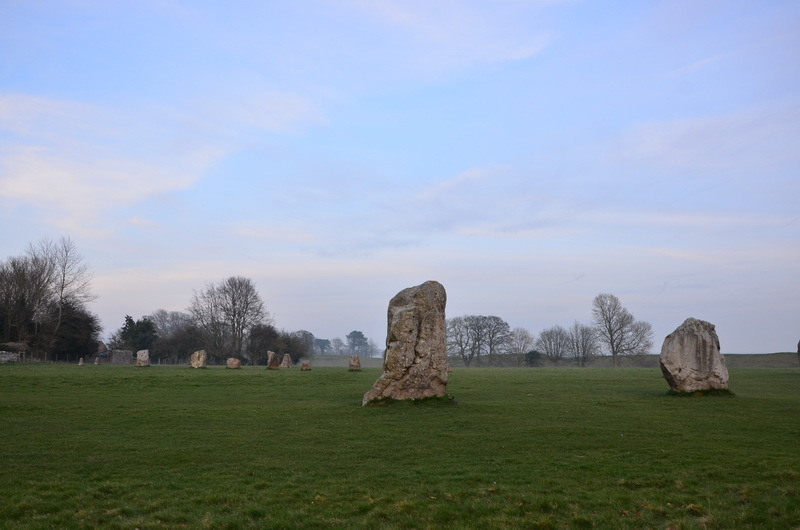 Despite the fact that up to the present time most of the stones have not been preserved, to this day it is still one of Europe’s largest stone circles. 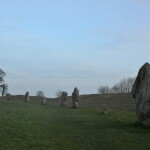 Same as Stonehenge, it is not known who created this complex in Avebury or it’s original purpose but there are many versions and assumptions. Some of them seemed to me somewhat improbable, nevertheless, it is said that ancient Phoenician mariners built the circle. 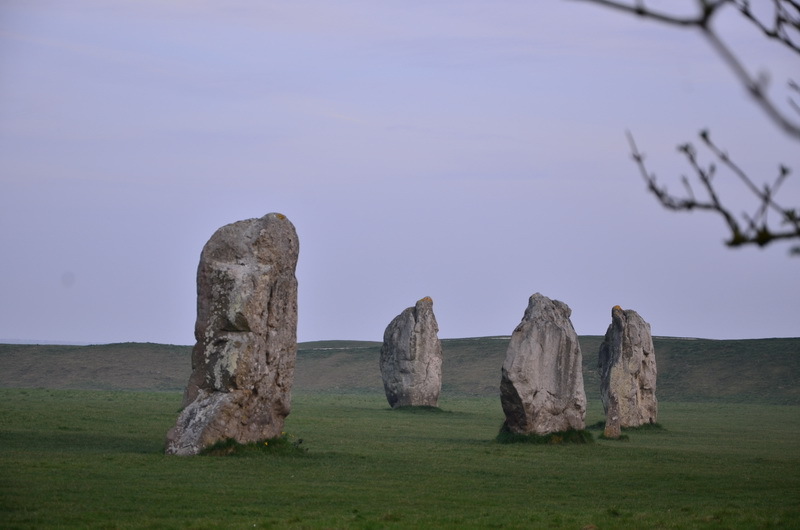 Another idea was that Native Americans from the Appalachian Mountains crossed the Atlantic Ocean to build the megalithic monuments in Southern Britain. Probably the ancient circle was built for religious rituals or as a ceremonial structure. 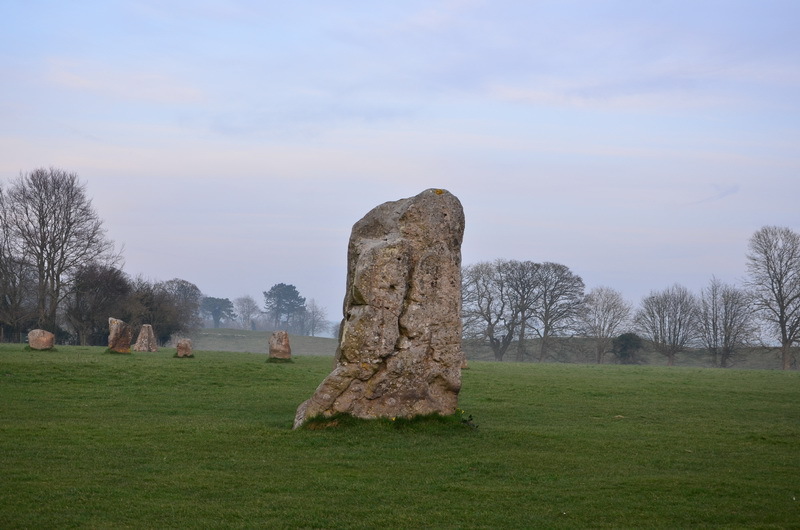 There is a suggestion that the stone circle may have represented the center of the world for those who lived during that period. 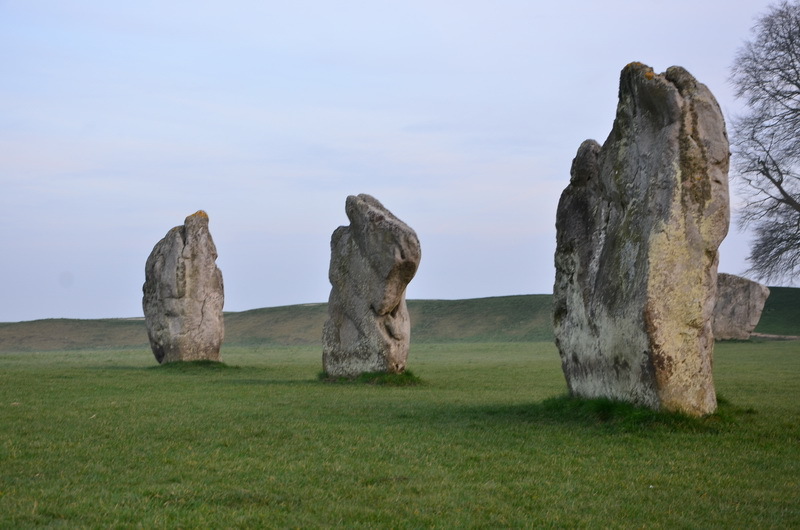 Some historians believe that the monument was constructed in the Early Mediaeval period in memory of the last battle of King Arthur and that some of Arthur’s warriors are buried there. 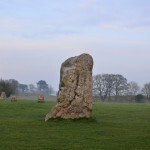 In the 14th century, when Britain was converted to Christianity, villagers began to demolish the pagan monuments, because it was contrary to their Christian beliefs and in people’s imagination were associated with the Devil. 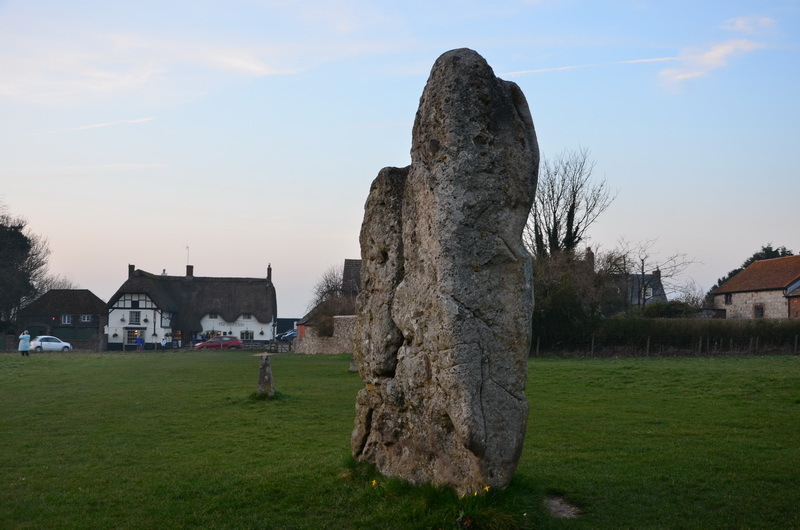 It was not until the 18th century that locals remembered a legend about a traveler who was crushed by one of the stones whilst helping locals to destroy these pagan menhirs and was buried under one of them. 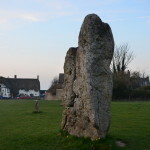 Perhaps this incident prevented the monument from further destruction by locals because superstitious villagers believed that it was a sign from the Devil. In 1938 archaeologists excavated the skeleton together with a leather pouch in which was found some silver coins dated 1320-25 and a pair of iron scissors, which determined that the man could have been a traveling barber-surgeon. In the 17-18 centuries local inhabitants used some of the stones to build houses. 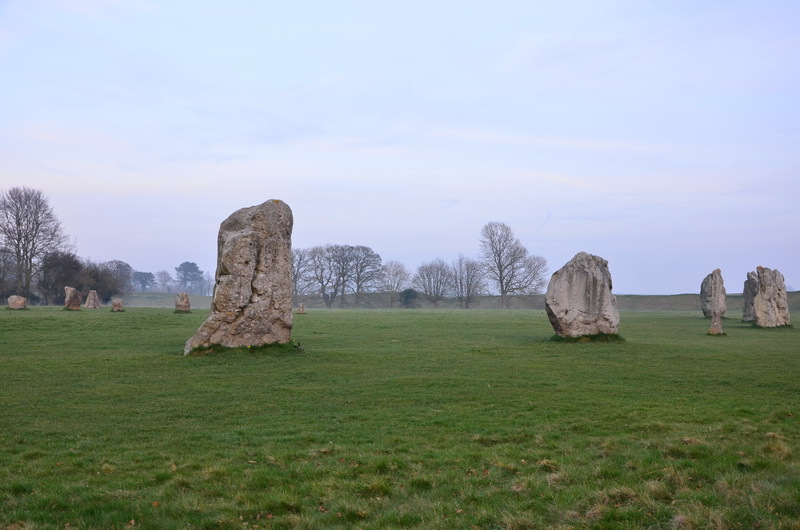 In 1719 the antiquarian William Stukeley visited Avebury and began to conduct studies of these historical monuments, he concluded that the complex was built by the Druids as a temple in 1859 BC. 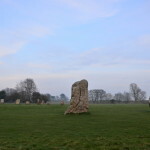 Stukeley saved the monument from being further destroyed by local people, noting that the historical value of it is comparable to the Egyptian pyramids. 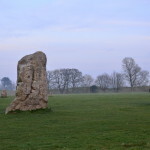 In the Victorian period, archaeologist John Lubbock, later known as Baron Avebury, acquired the land in Avebury, to preserve these monuments. 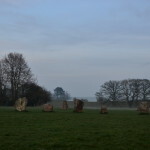 In 1938, archaeologist Alexander Keiller, who bought the site in the 1930s, conducted some archaeological studies and restored the original stone circle. 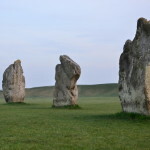 He also founded a museum on his estate of prehistoric artifacts found in Avebury. 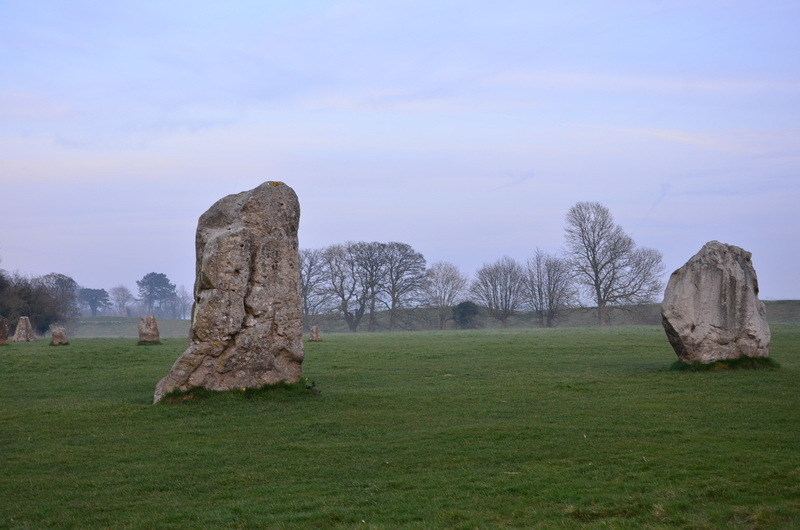 Recently, the Avebury complex of stones was added to the UNESCO World Heritage List, same as Stonehenge and is now a great tourist attraction. In addition, it is a somewhat religious and sacred structure for modern pagans and followers of the New Age. 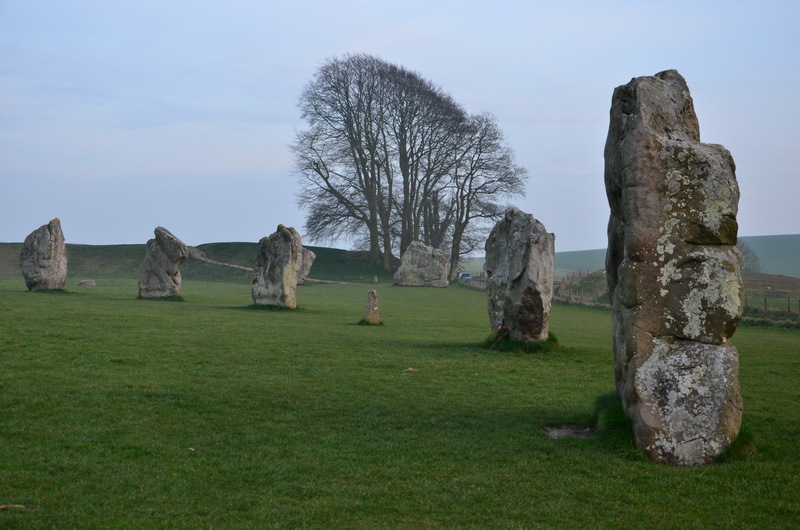 Visiting Avebury for me was much more interesting than Stonehenge, perhaps because you can actually touch the stones and get a sense of their greatness. 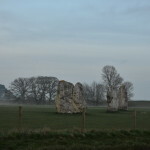 This entry was posted in Photo gallery, Unusual monuments and tagged Avebury. Bookmark the permalink.